A staggering $6.9 billion was spent on mobile digital ads in Q4 2015. In this second installment of the #SuccessStack, learn how you can claim your share of advertising budgets spent this quarter and grow your revenue. Does it feel like the holiday season gets bigger and starts earlier every year? You’re not wrong. This year Black Friday set a new record with over $3 billion in online sales. The entire holiday shopping season has evolved into a truly multi-month, online affair. Take advantage of the holiday ad spending spree by placing ads on your site. A good first step is to choose the right tool to sell and manage ads on your site. Then, make sure your available ad space is optimized and mobile friendly. Finally, when the holiday season is in full swing, you can use experiments to measure and improve your use of ad space further. 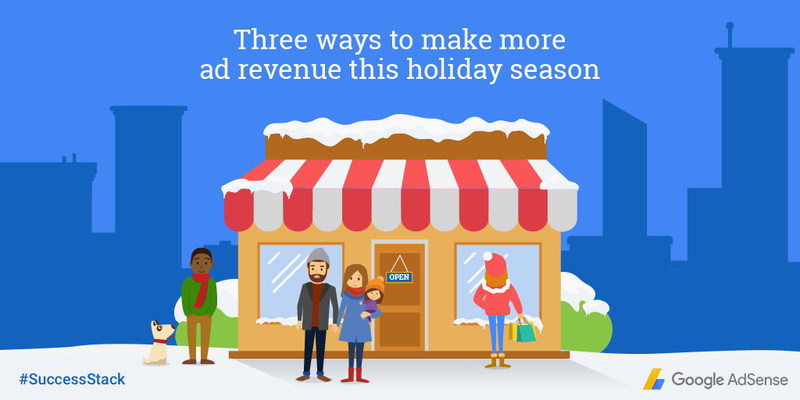 The holiday shopping season creates big opportunities for AdSense publishers. According to Luth Research*, the way people search when shopping becomes more niche as they move closer to buying an item. For example, individuals may start their shopping journey with search terms like “gadgets for men” or “laptops” but finish a few weeks later with searches for specific models or screen sizes. To capture audience attention and increase your ad impressions, build a content strategy that taps into this insight. Try creating content that taps into each stage of the buyer journey like gift inspiration articles for those early stage “i need ideas” moments, and product comparison content for those “i want to know” moments before users make a purchase decision. To help you make the most of these moments check out our guide to help you draw the crowds to your site. Partner with an ad network that can help you earn more during this peak advertising period. AdSense, with its access to millions of Google AdWords advertisers offers an easy, profitable and low touch advertising solution. Already an AdSense user? 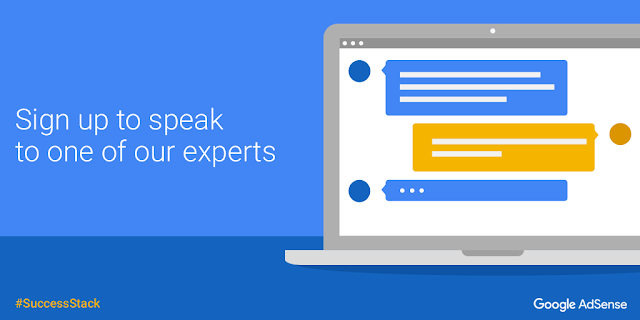 Enjoy an expert consultation to walk you through DoubleClick’s suite of tools to help you manage and optimize the ad inventory on your site. It could help you grow your revenues even further this holiday season. *Google/Luth Research, U.S. Google partnered with Luth to analyze the digital activity of its opt-in panel participants. The data was analyzed between April and Aug. 2016. This entry was posted in Inside AdSense and tagged AdSense, adsense guide, Best Practice, Black Friday, Holidays, SuccessStack on December 13, 2016 by John A.Smith.